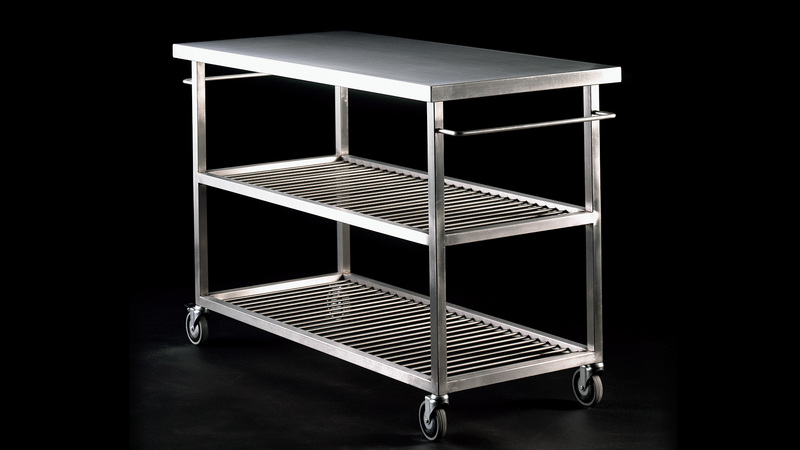 Untreated stainless steel trolley. Perfect as an extra kitchen/worktop or for serving a buffet/coffee, at home or at work. Also lends itself well to being out on the terrace as a buffet or sideboard. Extra table for Kitch in birch plywood/steel. Kitch Mobile is available with/without a sink as well as water and drainage connection. Made to measure.